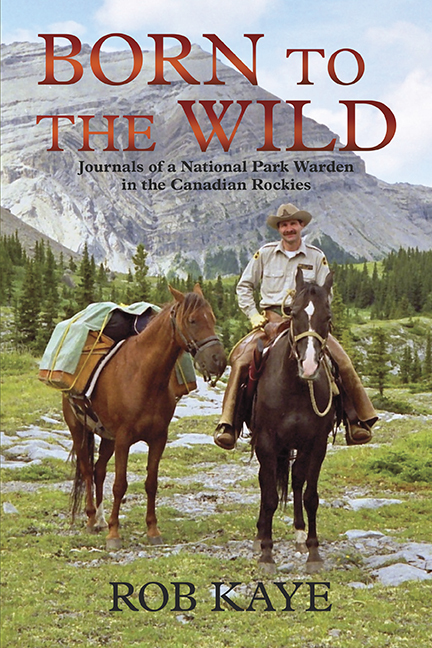 In Born to the Wild – Journals of a National Park Warden in the Canadian Rockies, former Park Warden Rob Kaye recounts his boyhood adventures growing up in Jasper National Park and his experiences as a warden patrolling the vast mountain wilderness that he called home. 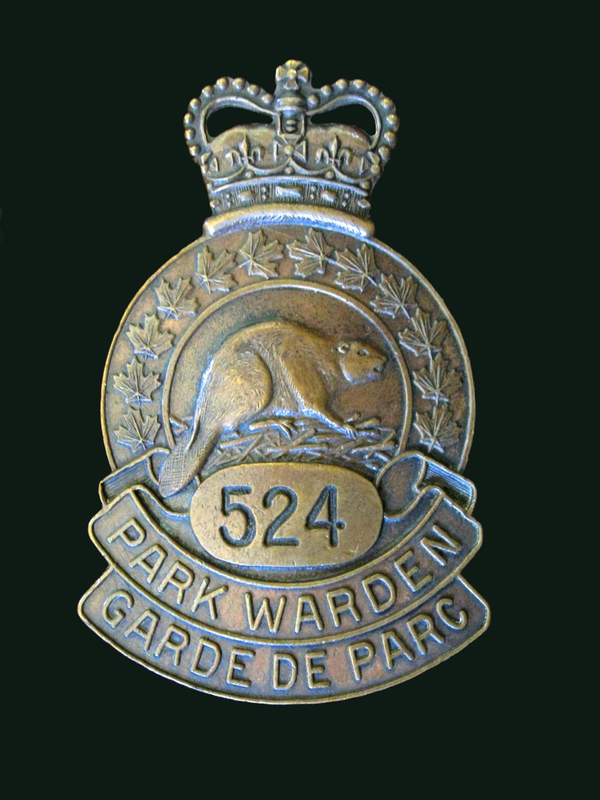 Kaye gives a vivid account of wardens’ lives in the park. He describes backcountry encounters with wolves, bears, bighorns, and other wildlife, as well as accounts of survival and tales of adversity. Kaye relates heartfelt and humorous stories about the backcountry wardens’ most trusted companions—the riding and pack horses that shared their high country travels. The author’s passion for the preservation and protection of wilderness and wildlife is a theme that runs throughout the book. Kaye invites the reader to ponder the future of our national parks. In reflecting on his career with the Warden Service, he illustrates how the few remaining (and no longer pristine) wild spaces are threatened by overuse, commercial development, habitat loss, and climate change. SEE OTHER COMMENTS UNDER THE “AUTHOR” HEADING. ThankYou so much for writing this book!! The Rocky Mountains are an amazing Canadian resource, & nature stories from the Rockies are my favourites. Your book has tremendous scope & amazing stories. Thanks for sharing your lifetime of experiences in & around our Parks. Your ability to enjoy the beauty & wildlife, & handle the rigours & challenges is inspiring. We need more like you who are committed to preserving our environment. Thanks Again, this was an awesome read. Hope you keep sharing. The highlights from the year on exchange in Australia would be interesting. Congratulations on a life well spent & shared. One of the very best books I have ever read!! I too loved this book. 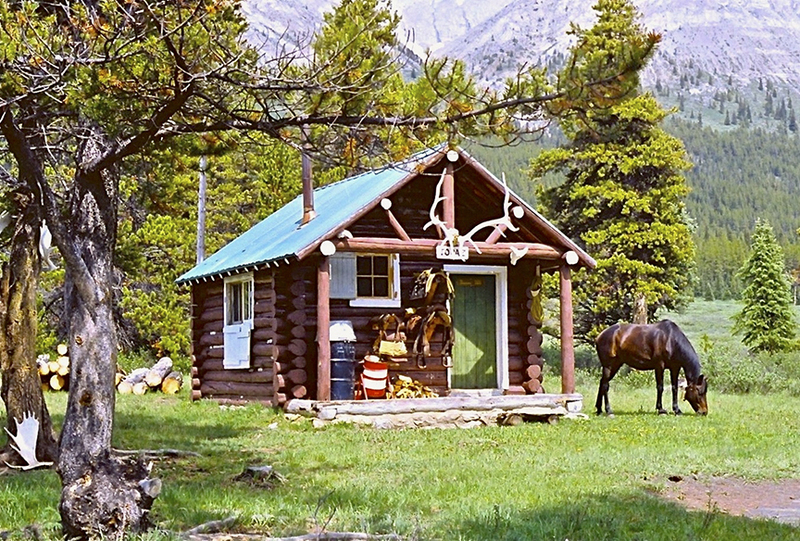 It brought back many memories of years backpacking and hiking in Banff and Jasper parks. Rob is a truly dedicated individual, which comes through in the book. His love of the outdoors, concern as to how much and for how much longer we will be able to enjoy it, shows continually in the book. As I have got older I look back with much joy to the many happy hours spent in the parks and in nature, and Robs book brought it all back alive for me. Thanks for your dedication and for sharing your story. It will be on my recommended list! Thank you for sharing your experiences and thus spread the importance of conservation and care. Retired park ranger at Parques Nacionales de Argentina. I loved the book – a great read. Starting with the early days of growing up in the Jasper area was really interesting. How life has changed! And then the many and varied stories as life of a Warden, both the good and challenging. A great personal account of Rob’s life and experiences, and interwoven with stories of other wardens really gave depth to the book. Throughout the book there is a really powerful message of how the world has changed, and continues to change; and how it is our responsibility to do what we can to preserve as much of nature as possible. And how the ways of work have changed. In these days of overbearing health and safety, managers that have had little practical experience of the “real world” and worries that “someone” may be offended, it is wonderful to read of times when getting the job done, self-reliance and initiative were not only essential, but expected. Whilst some of the landmarks and geography might have been lost on me, that didn’t matter. The message was loud and clear. A willingness to learn and make personal sacrifice, a love and understanding of nature, coupled with a desire to serve the greater good can make a difference. Thanks and congratulations Rob, I can’t wait for the sequel. What a delightful gift it was to find this book on our travels through Jasper. Not only was it engaging and well put together, it truly helped further my knowledge, connection and love of this amazing area. It sparked further awareness that our duty to protect these wild spaces is sadly an ongoing process and in so created an even deeper desire in me reach out and do my part to help maintain our National Parks and their bordering areas. I HIGHLY recommend this book and would happily read another book from this author (hint, hint). I picked up this book in Kananaskis as I saw Mac Elder’s name associated with it. Mac Elder is Uncle Mac to me and I always love hearing his stories. I studied Environmental Science and spent a summer in Jasper, so this book felt special to me. I recommend this book as it is incredibly accurate, detailed, educational, entertaining and page-turning. Thank you so much for sharing and I hope you continue to write about your other adventures in Elk Island and Australia.